Bill Griggs and Sharon Reaume were married on June 3, 2004. 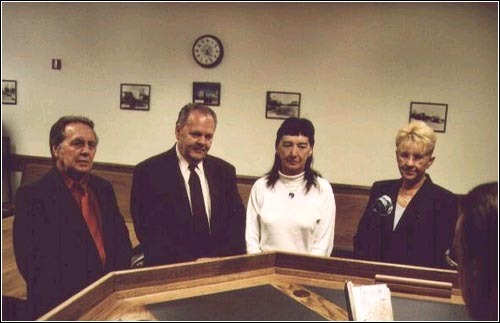 The witnesses were Jack Neal (left) and Peggy Sue Gerron (right). Bill must have thought it was a pretty important occasion as he's wearing a jacket and tie!